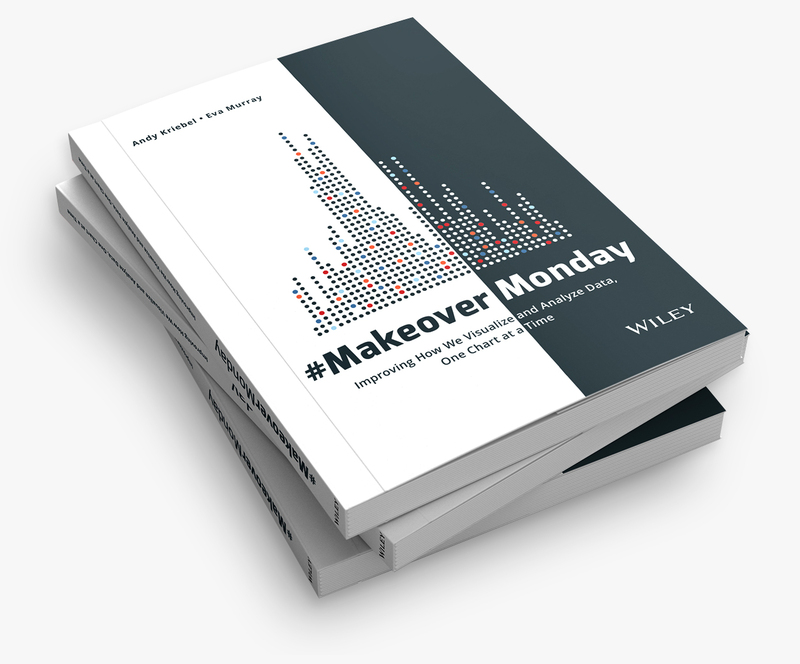 Fire Response in the UK: How is your local authority performing? This morning, Tom Brown and I were meeting with a customer and talking about data that’s available from the UK government about the public sector. 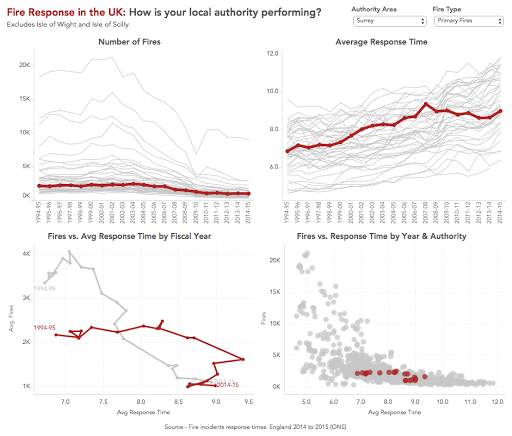 I found a great data set about fires and the response time by fire department in each of the local authorities. A bit of Excel cleanup, unioning the files in Tableau 9.3 and 30 minutes later I had this dashboard that allows people in the UK to see how well their local fire department is responding. What’s interesting is that for nearly every authority, the number of fires is decreasing across all fire types, yet response times are inversely increasing. I don’t know this is, but that’s the power of data visualisation; it leads to more questions, more discussion and hopefully better outcomes.